We are sad to announce that we lost a champion and advocate for Children’s Miracle Network Hospitals recently. 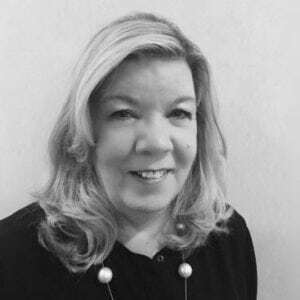 Cathleen M. Dennett, Brand Manager for Direct Energy Services, passed away unexpectedly on Sunday, May 20, 2018 surrounded by her family. Cathleen was the driving force behind the Direct Energy partnership with Children’s Miracle Network Hospitals. She was a tireless advocate for our cause, and was fond of saying, “It’s good for the kids, and it’s good for business. It just makes sense.” Cathleen oversaw franchisee campaigns for One Hour Heating & Air Conditioning (HVAC), Benjamin Franklin (Plumbing), and Mister Sparky (Electrical). All three were part of the Direct Energy family of companies. Donate to your local Children’s Miracle Network Hospital in honor of Cathleen by clicking here. Cathleen also had a personal connection to Children’s Miracle Network Hospitals. Cathleen’s great-niece, Hylie, is treated at Johns Hopkins All Children’s Hospital in St. Petersburg Florida. Hylie had her first stroke in December 2016, and was eventually diagnosed with Moyamoya disease, a rare progressive condition that affects the carotid arteries. Hylie has undergone several major surgeries and continues to be treated at Johns Hopkins All Children’s Hospital. Cathleen is survived by her husband of 30 years Michael Dennett, daughter Melissa Harrison and husband Keith, twin granddaughters Kennedy and Peyton, mother Jean McCormick, twin sister Christine Bullock, sister Mary Jo Gregory, and brother Gregg McCormick, as well as five nephews and four nieces. Previous post: Costco Supports Local Kids. Next post: Roaring good times with the Dairy Queen team!